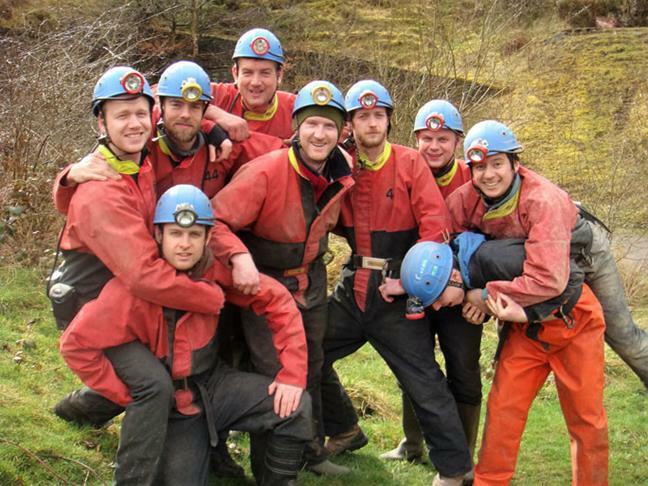 Caving and Potholing in the Wye Valley, Forest of Dean and Brecon Beacons. Wales and the Brecon Beacons are fantastic places to go caving. Anywhere where there is limestone rock there is the possibility of finding caves, and Wales and the Brecon Beacons have loads of limestone just full of caves. Even less mountainous regions such as Gloucestershire, Herefordshire and The Forest of Dean have brilliant caves just waiting to be explored. If you have never tried caving you must give it a go. There is the initial thrill of fear of the unknown but once below ground there is an element of stillness and tranquility that cannot be experienced anywhere else. In Wales and the Brecon Beacons you can go caving in cave systems both wet and dry that have huge caverns and features that that will surprise and amaze. This is a fantastic group bonding activity and is particularly popular with groups of friends, stag parties and hen parties. It is also really good for management training with people who need to experience teamwork and group dynamics. 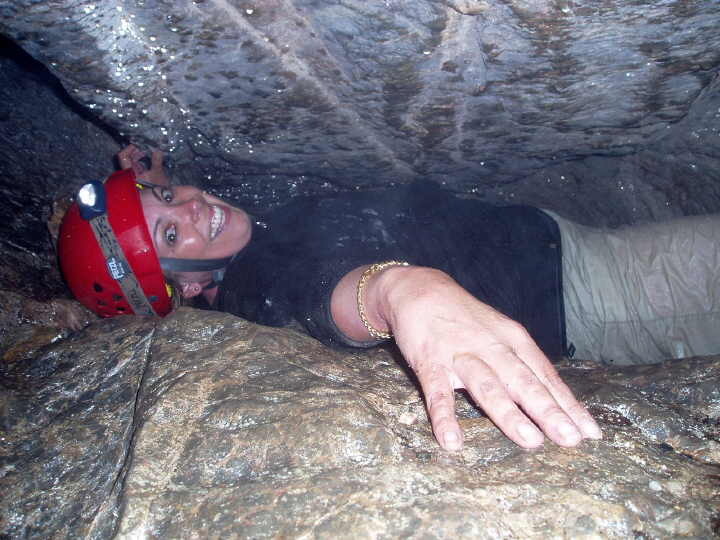 Caving is completely different from most people's expectations and we find that if you try it you will really enjoy it. 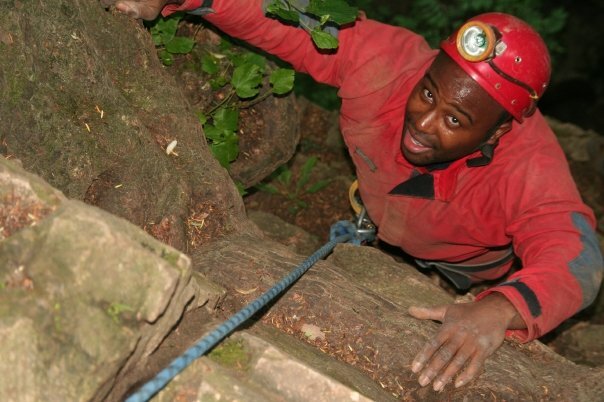 Symonds Yat is not only popular for rock climbing, it is also a great place for abseiling. 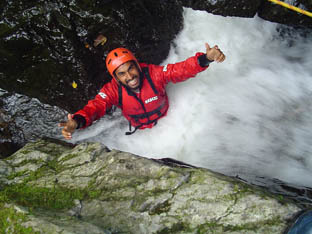 Abseiling is a method of going down a rock face using ropes. It is a very popular activity in its own right and great for groups, parties and families. It can be a really scary experience but it is extremely safe and the thrill you experience as you go over the edge is second to none. What is caving and potholing all about? Caving or potholing is the underground exploration of natural shafts and caverns. These caves have been formed thousands or even millions of years ago and can contain all sorts of beautiful and fascinating features. Caves are graded 1 - 5 with grades 1 and 2 being suitable for beginners. Who can go caving or potholing? 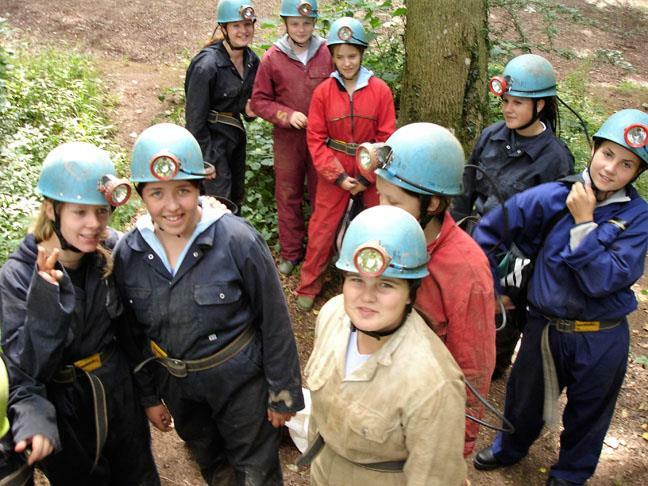 Caving in Wales and the Brecon Beacons is suitable for all ages and abilities. If you have certain requirements we can find a cave to suit you and your group. So whether you want big wide passages, and some fun easy going or small tight squeezes to wriggle through then we've got the caves for you. What will we be doing while we are caving or potholing? After you are dressed up in your caving suit and have checked your lamp we head off to the cave. In Wales and Brecon Beacons there are often car parks near the most popular caves so you do not have too walk far. Other caves especially in Gloucestershire and the Forest of Dean might have you walking for a short distance to get there. Once at the entrance you will decide who will lead the way first, and in you go. The leader will change regularly to allow everyone to experience the excitement of finding the way through the cave system. While you are traveling through he caves you will have the opportunity to try some more tricky challenges which are often given names by the cavers such as The Keyhole or The Ironing Board. How long does caving and potholing take? 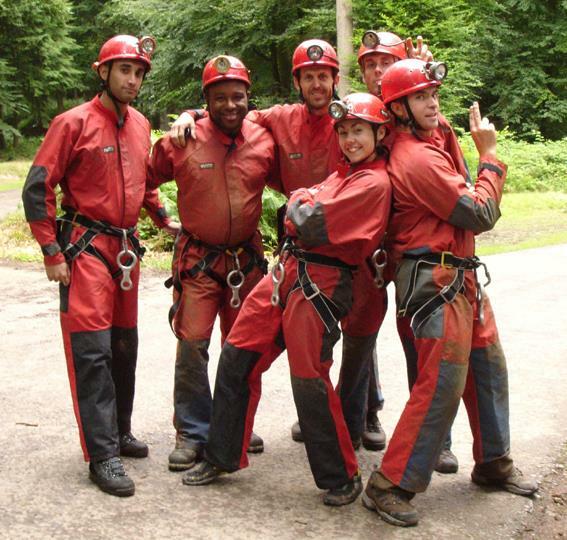 We normally run half day or full day caving and potholing sessions and you can decide how much caving you want to do. 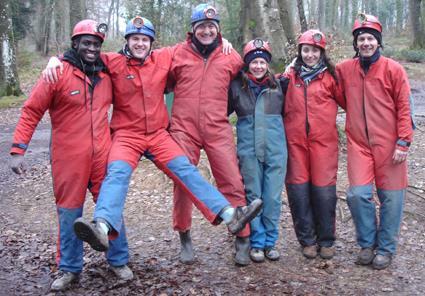 We can also combine a half day caving or potholing session with another half day activity so that you get a full day with different activities. Great team building staff day out! We had a fantastic day with Michael! He provided clear instructions, reassurance when some people were a little scared and had a very good rapport with the group. The location was beautiful, the equipment of good quality and the activities were great fun and challenging! We did abseiling, caving and then a gorge walk, Michael knows his stuff and pitched the day perfectly to suit the varied needs/experience levels of the group. I would thoroughly recommend this as a day out with family, friends or colleagues. May I just say that we all had a really great day and one of the best things that I have ever done. From the start Michael was a great help, helping me to arrange a day of activities and answering the numerous questions that I had along the way! He always came back to me quickly and worked up a full plan for the day. On the day Michael was very chipper and upbeat which was definitely needed given how we were feeling from the night before! We did canoeing, caving and rock climbing and I would definitely recommend Michael if you're looking to do some activities in the Herefordshire area.